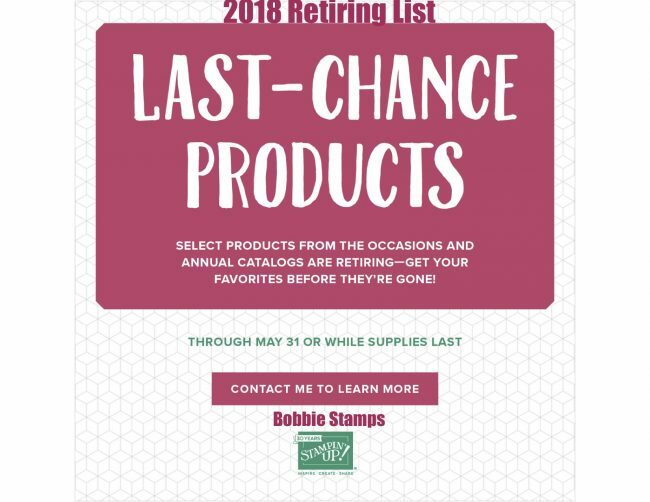 Select products from the 2018 occasions catalog and 2017-2018 annual catalog are retiring—and this is your last chance to get them!!! All retiring items are only available while supplies last and will be discontinued after May 31. Here is the list of the Annual Catalog retiring items. 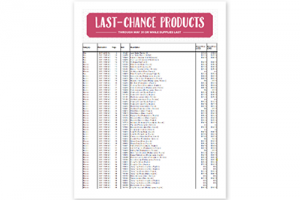 Just click on the image and you can print the list. Here is the list of the Occasions Catalog retiring items. 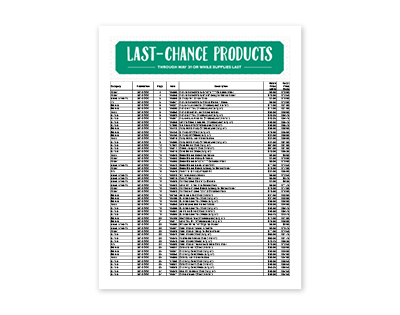 Just click on the image and you can print the list.